According to the rich tradition of the Christian Church, Christmas doesn't just flash past in one day. Christmas is a season lasting twelve days, ending on Epiphany (Jan 6) when Christians have celebrated the visit of the Magi, the revelation of Jesus as the King of Kings, and the inclusion of the Gentiles en masse in God's Covenant people. Our family has celebrated with a Magi Treasure Hunt, which is available to you at Celebration Books & Gifts (although, if you order it today, there are no guarantees when it will get to you. Denver continues to be hammered with the most ferocious snowstorm in a century.) The treasure hunt is both a physical hunt through the house, and a hunt through the Bible and Bible archaeology. This year we have discovered during our treasure hunt, a DVD and website about the Bethlehem Star. The website will give you historical clues and details about archaeo-astronomy during Christ's lifetime that will blow you away. The way that God set up the skies to announce His purposes and plans from the beginning of time, convinces me that this is not Plan B. It was obvious at first only to the Magi. Herod hadn't noticed it. It was connected to kingship. It was connected to Israel. It appeared, disappeared and reappeared. It appeared to move against the fixed stars. Specifically, it had to 'lead' the Magi west to Judah from Babylon, and then south from Jerusalem to Bethlehem. It had to appear to stop over Bethlehem. Then the DVD proceeds to use the same software we use to analyse and demonstrate stellar and planetary motions at the Denver Museum of Nature and Science, together with the ancient historians Tacitus, Josephus and others to establish the correct dates for these events. The result is a sky window that dances with meaning, beauty and wonder. And yes, there is a series of phenomena that exactly matches the clues! We are the first generation in twenty centuries to have the opportunity to review these signs and wonders firsthand, because of the speed and power of computer calculations. But the DVD (and website) goes farther, it analyses the end of the dance - the signs and wonders at Christ's death. Just as the sky trumpeted His arrival, it danced His requiem, His dirge. You will weep. Go. Read. Worship! Come, let us adore Him, Christ the Lord! 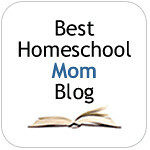 Visit the first Anniversary Carnival of Homeschooling at Why Homeschool? which links to this post. What an intriguing post! I'll be back when the kiddos are in bed to check these links -- thanks for sharing them. I am skeptical of the "aster" being Jupiter. But, since no one can prove what it is without a doubt, my mind finds sabbath in the concept that God will use creation itself to bring Him glory. Interesting links.